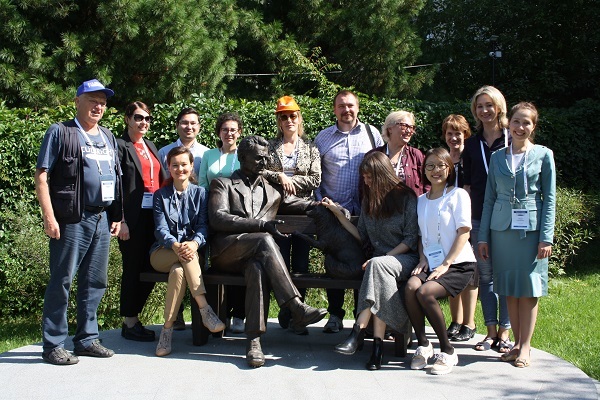 On August 27 and October 8, 2018, Siberian alumni gathered in Novosibirsk to celebrate the 45th anniversary of the Program in Russia, the Fulbright experience, each other, and plans for the future. The event was sponsored by the Fulbright Small Grants program, supported by the Moscow Fulbright office and U.S. Embassy in Russia. The gatherings were focused primarily on exchanging best practices of organizing events that contribute to the internationalization of Russian education and science, both supported by the Program and by own initiative. Both events were organized by Tatyana Karamysheva (Visiting Scholar, 2011-12), Senior Scientist at the Institute of Cytology & Genetics, Russian Academy of Sciences, Siberian Branch. Tatyana has arranged multiple events of that kind in the past; this year she was aided by another Fulbright alumna, Maria Smetanina (Visiting Graduate Student, 2007-08). The first gathering was incorporated in the X International School of Young Scientists «System Biology and Bioinformatics». Round tables joined together former fulbright grantees from Siberia and the Far East, as well as Joel Ericson and Olga Petrova, FLTA & RIEA Program Specialist. 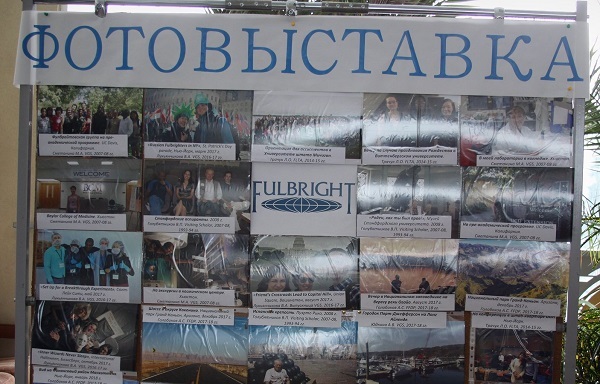 Participants of various backgrounds made reports and presentations on how they apply their Fulbright experience in their work and how it contributes to the internationalization of education and science. To make the atmosphere feel less formal, they shared their travelling impressions, studying and research details in the U.S.. Those who could not attend in person joined the event via video-conferencing. 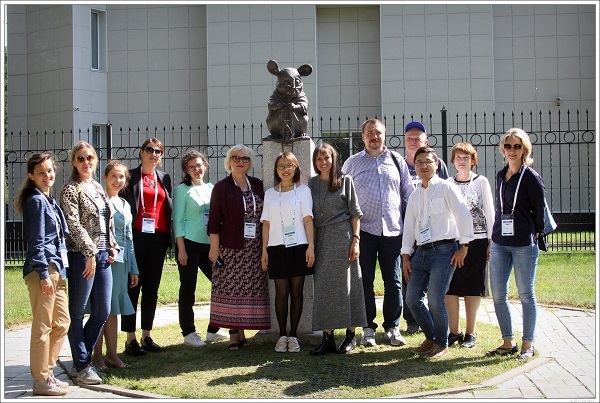 Later, alumni embarked on a tour around the campus, visited Museum of Archeology and Ethnography, and took pictures at the famous monuments to D. K. Belyaev and the lab mouse. At the end of the day, graduates spoke at the closing seminar of the "Systems biology and bioinformatics" school, promoting Fulbright Program and opportunities it offers. The meeting was accompanied by a photo exhibition made of photos taken by alumni during their stay in the United States. After the first event was over, everyone was enthusiastic to meet again, get to know each other better and talk about what it means to be a Fulbrighter. Thus, on October 8 Tatyana organized a second gathering: a culture and sports event, which united not only Novosibirsk alumni, but also semi-finalists of the competition of 2019-20, as well as Brandon Murrow, current American ETA. Participants played ping-pong, competed in various exercises and a blitz in which each of them had to explain what the Fulbright program means to him. Notably, everyone agreed that the main merit of the Program was in the opportunity to realize their dreams and partake in creative opportunities and significant events.